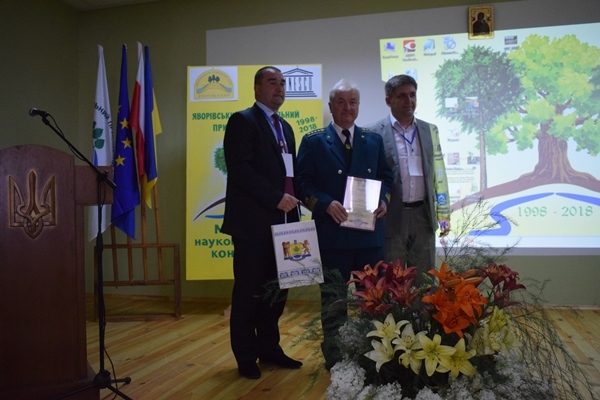 On the occasion of the twentieth anniversary of the Yavorivskyi NPP establishment with the support of the SNPA-project an international scientific and practical conference took place on July 4, which was attended by the leaders of the Yavorivskyy district, delegations from the Roztochanskyy national park, Gmina Zamosc of District of Lublin Voivodeship, heads and specialists of 10 environmental protection institutions of the Ministry of Ecology and Natural Resources of Ukraine, scientists from Lviv, Ternopil and Ivano-Frankivsk. 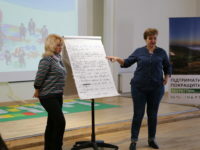 During the conference, the participants emphasized the achievements of the national park in the field of protection and preservation of the unique landscapes and natural complexes of the main European watershed. 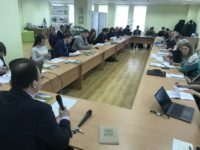 The conference also raised the issue of the importance of scientific researches and monitoring of the state of natural complexes and biodiversity objects in the work of nature conservation institutions. As a result, the conference adopted a resolution by the participants, which proposed to amend the legislation on Nature Reserve Fund, in particular, to increase financial support of nature protected institutions and to raise the percentage of protected areas in the region to European parameters: up to 15-20% of its total area (currently 7.2%). According to information from Yavorivskyi NNP.